this is a very interesting video! anyone can upload it to youtube. Two original Iraqi artworks inside a building. From the number - No. 93 Sqn. 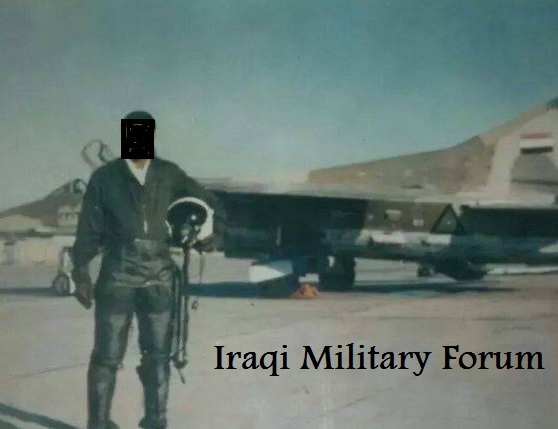 which flew MiG-23ML - I think its located at al-Bakr Airbase. What does the text say ? MIDC كتب: Two original Iraqi artworks inside a building. Could be the squadron's motto. I always wondered as to how transfer to better aircraft worked in the IQAF. The MiG-21 was the workhorse, of course, but the MiG-23 was deployed and used in large numbers and on a good scale (especially since the BN variant is very efficient at ground attack and every variant other than the MLS has a superior radar to the MiG-21). Did veteran MiG-21 pilots earn deployments to MiG-23s if they flew enough hours or sorties, or were MiG-21 pilots and MiG-23 pilots distinct from one another entirely in acceptance and training? By extension, did veteran MiG-23 pilots get promoted to fly the MiG-25? All I know is that pilot Cpt. Omar Goben flew a MiG-21 initially but was eventually posted to a MiG-23. Funny enough, his first kills in a MiG-23 were scored shortly after he scored a kill in a MiG-21. I can only assume that his kill in the 21 is what eventually granted him a transfer to a MiG-23. I am not entirely sure, however. This is just one story about one pilot.